It is fun to work at Englund Marine! It’s a fact! The Englund Family, going all the way back to Axel and Freda over 70 years ago and continuing with Jon and Kurt Englund today, have always had the belief that their crew was their biggest asset. A big percentage of our crew have been with us over 10 years, many over 20 years and a few over 30 years! 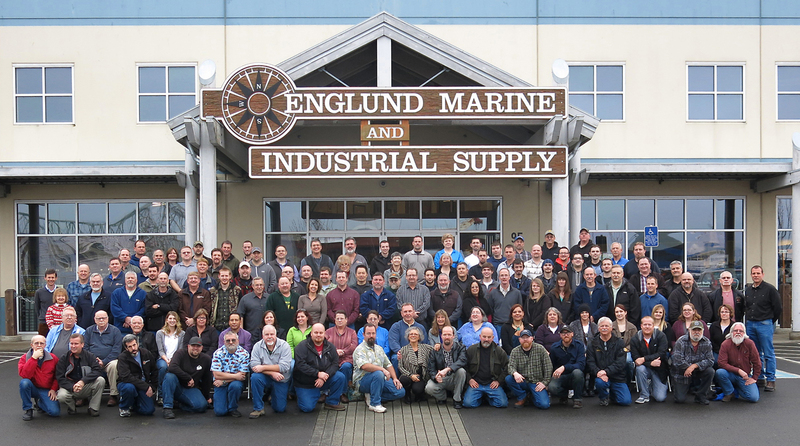 Englund Marine is a place where you can become part of a family and feel like each and every day you are making a difference. We are always on the lookout for people with strong knowledge of the marine and industrial industries who love applying that knowledge to taking good care of our customers. Going the extra mile is not something that our crew does every once in a while, but what they strive to do each and every day by helping customers find what they need. We post all of our current job openings on this page, but if you feel like you have the experience and customer driven values that it takes to join our crew, please do not hesitate to contact us. To make an inquiry send an email to our HR department, hr@englundmarine.com, and they will get your inquiry to the right person. You can also download and fill out the application listed at the bottom of this page and return it to our Astoria location, by mail at Englund Marine and Industrial supply, P.O. Box 296, Astoria, OR 97103; email our HR department or fax to 503-325-0842.